Congratulations to Chris Jones! He is our winner of the 8th Annual A/C Giveaway. Chris is a lively dad of five kids who took a leap of faith and and filled out our online form. He and his wife do all they can to provide for their family, but just like every homeowner would tell you -- there are usually more projects than time or money will allow. 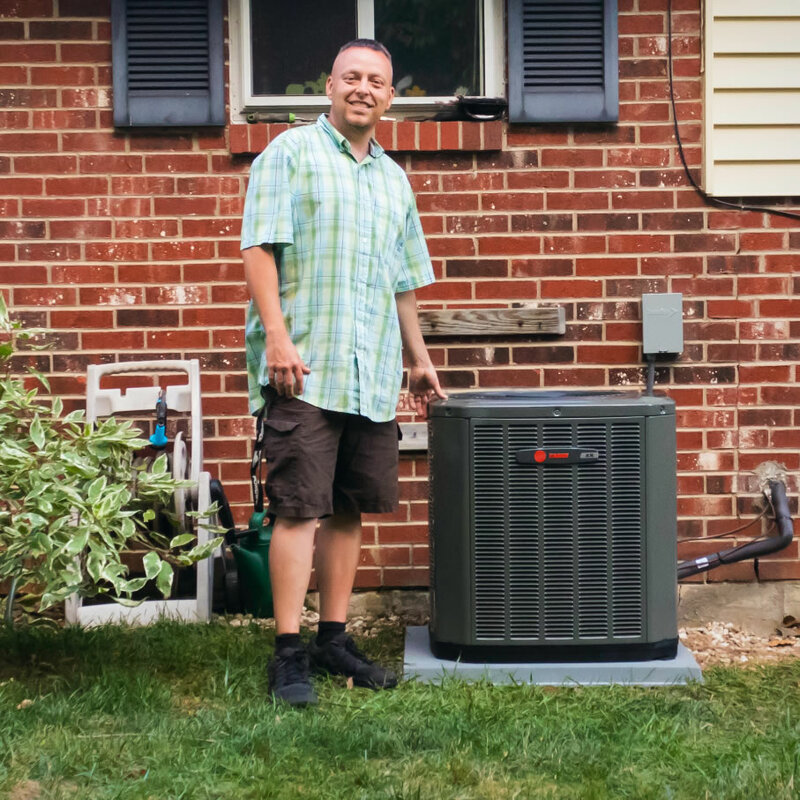 When we caught up with Chris, we learned that his 35 year old central air conditioner had been broken for a long time. The family of 7 has been keeping their home cool by using a couple of window A/C units this summer. During the job scope appointment, we learned that it would not feasible to add an air conditioner to the Jones' old, inefficient furnace. Instead of disappointing our winner with that news, a few phone calls were make to our business partners at Trane. The team at Trane stepped in and surprised the Jones family with a NEW Trane furnace *in addition to* a new central air conditioner. A long day of work and installation took place on Friday, and the Jones family is now cool, comfortable and safe with a complete Trane comfort system. Congratulations, Chris! We enjoyed meeting you, and we wish you a happy and safe summer season! Stay cool! Stay tuned and check back in for more chances to win!